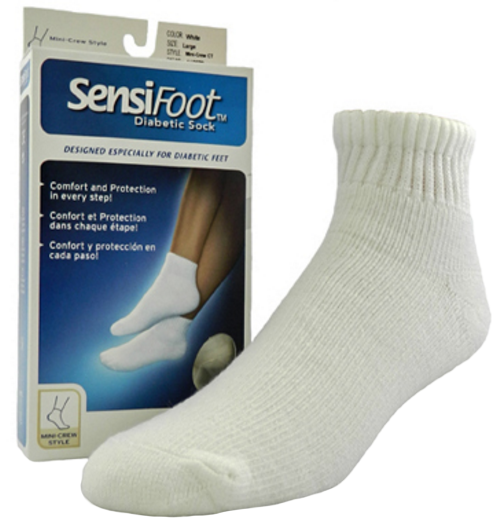 Jobst SensiFoot Unisex Mini-Crew Diabetic Mild Compression Socks 8-15 mmHg are made particularly for those with diabetes and sensitive feet. Sensifoot by Jobst are manufactured to prevent further foot and leg ailments by providing mild compression with a non-irritating, flat toe seam. The extra fabric on the toe, heel, and foot on these Mini-Crew Diabetic Compression Socks 8-15, available for men and women, gives the socks added durability. 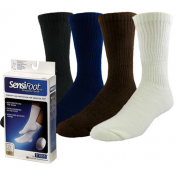 Jobst SensiFoot Diabetic Compression Socks are made of acrylic multi-fiber threads that wick moisture away from the body, and have anti-bacterial/fungal properties. 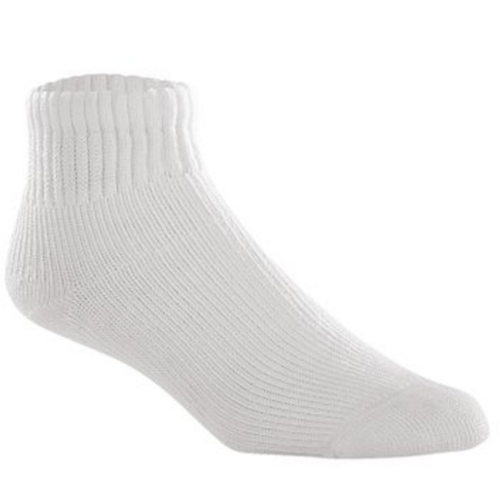 Very comfortable sock and helps relieve problems.